The art within the Ryniker-Morrison Gallery in Tech Hall of Rocky Mountains College is full of talent. This current art show is for students who love and have a passion for fine arts. It is a student-only art show that will be hosting only the best of artists’ work. The gallery consists of everything from jewelry to paintings, photography and sculpture. A few examples of work that really showed technique were from Tucker Downs, Melinda Provencher, and Ksenia Lynch. There was also a chance to catch up with RMC’s own Jim Baken. The art gallery is being pushed to its full potential this month. The students who have their artwork showcased get the chance to have others view it in a way it has never been before. The art show is open to the public, which brings viewers into the gallery from Rocky’s campus, as well as the city. 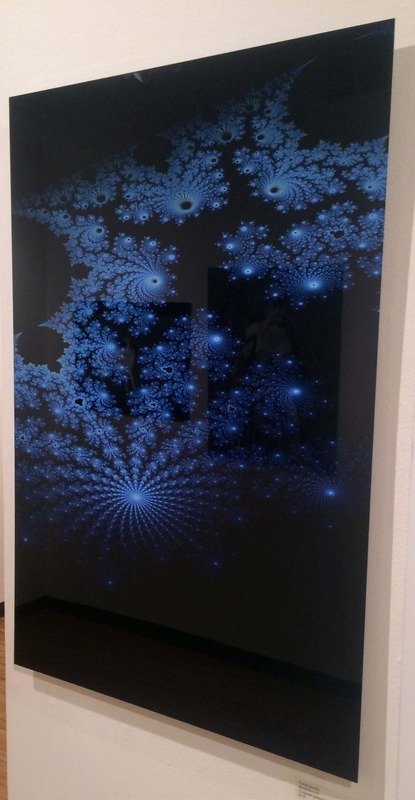 Downs made a unique piece of art that was computer generated and put onto metal. Downs put a type of art on the table that many have never seen before. Provencher has a strong skill set in the acrylic arts. She created a piece that had a very eye-catching feel to it. 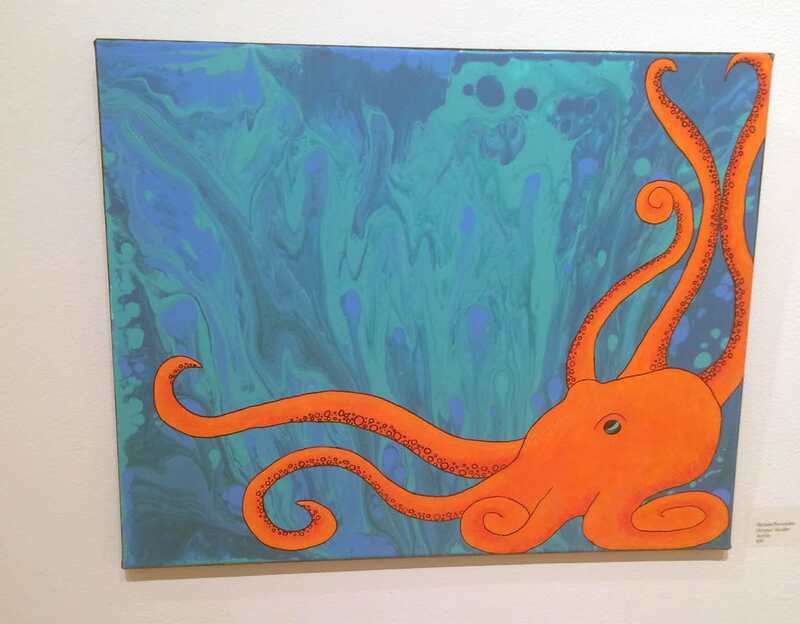 The piece was called Octopus’ Garden, which showed a colorful Octopus in the depths of the ocean. The last artist we spoke with showcased some beautiful work. Lync created a nature piece from acrylic. 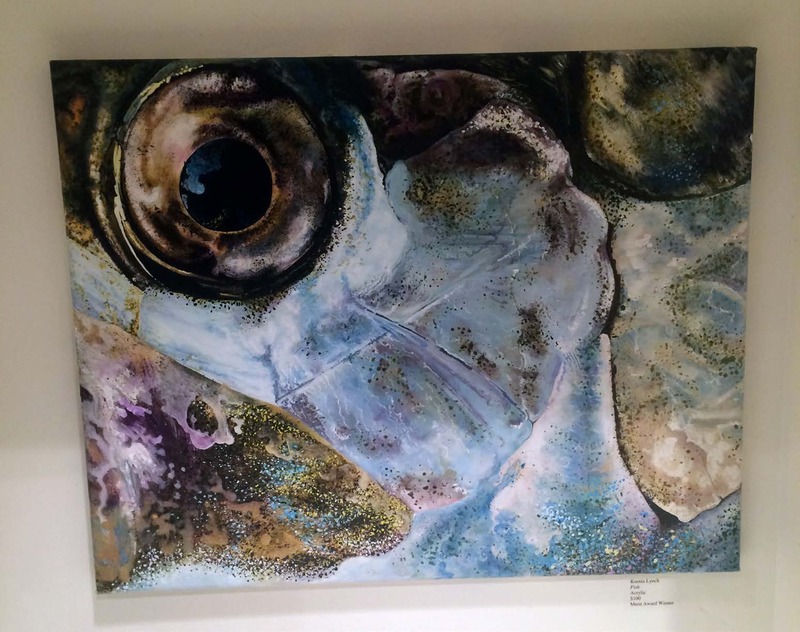 One of her pieces, Fish, showed a creative way to represent a fish and its color. Not only were these three great examples of art, but the rest of the gallery is put together of very nicer pieces as well. All coming from a variety of students in numerous classes, Art majors to Computer Sciences. No other words could better explain how the gallery showcases students work. The only way to truly understand and feel that wow factor is by going and seeing it yourself.